and in the UK as George & Martha Washington: A Revolutionary Marriage (Bloomsbury). It’s now available as a paperback in the UK and USA. During her teens and twenties Flora was employed as a researcher by a number of authors including Michael Grant, and by her grandmother Elizabeth Longford and mother, Antonia Fraser, both historical biographers. This apprenticeship included richly rewarding work on Eminent Victorian Women (Weidenfeld, 1981) by her grandmother and, by her mother, Scottish Love Poems: A Personal Anthology (Canongate, 1975) and The Weaker Vessel: Woman’s Lot in 17th Century England (Weidenfeld, UK, 1984). Flora co-founded, with Peter Soros, in 2002 the Elizabeth Longford Prize for Historical Biography, which she chairs. She served as a judge in 2012 for the Costa Book Awards. Additionally, from 2014 to 2017, Flora was one of the judges for the Guggenheim Lehrman Prize in Military History. In 2016 she was a judge for the Slightly Foxed Best First Biography Prize, and she was also a judge for the George Washington Book Prize and the Gilder Lehrman Prize for Military History in 2018. Flora was the winner of the George Washington Book Prize 2016 in the US for ‘The Washingtons’. She was also longlisted for the Library of Virginia Non-Fiction 2016 Prize. Flora was appointed the Mount Vernon Georgian Papers Fellow for 2017, and undertook valuable research among those Papers in the Royal Archives and in the US for her current book projects. 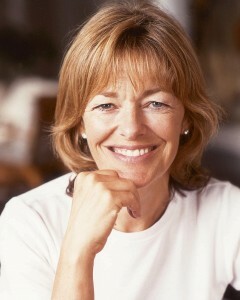 Flora served as a trustee of the London National Portrait Gallery from 1999 for ten years. Since 2011 she been a member of the Development Council at Wadham College, Oxford. Flora lives in London with her younger children, and enjoys reading and swimming in Greece. Flora is at work on two book projects for Knopf, US, and Bloomsbury, UK: In Search of Flora, a life of the Scottish heroine, Flora Macdonald, who was later caught up in the American Revolution; and a future life of Lord Nelson on shore and at sea. Flora is one of five judges for the 2019 Elizabeth Longford Prize for Historical Biography. She is also a judge for the 2019 Gilder Lehrman Prize for Military History at the New-York Historical Society. She is a judge for the 2018 George Washington Book Prize, which she won earlier. Following on from her 2017 Mount Vernon Georgian Papers Fellowship, Flora is now an active member of the King’s Friends Network, the international and free-to-join community for all those interested in the Georgian Papers Programme. Newly she is also a member of the Georgian Papers Programme Academic Steering Committee.